Updated to add - the Seahawks won. It was a cremation slaughter 43 - 8. Go Broncos! Peyton won't be denied! Oh oh!...What a dilemma! I think it's win-win situation for you and Chris, right ( one of them will win no matter what)!? love this. 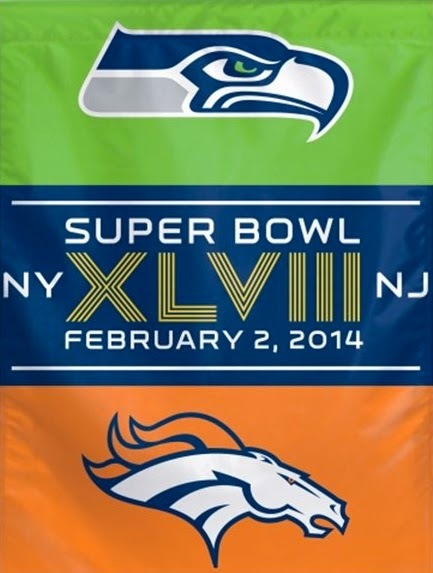 not quite as tied as the two of you BUT the two super bowl teams represent the birthplaces of both my children. who cares. GO SEAHAWKS!!!! yeah go hawks (from Seattle area too!) Love your scrap pages!